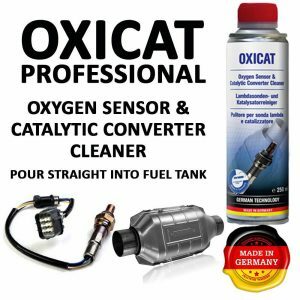 Why to Use Catalytic Converter Cleaners? What’s the Lifespan of Catalytic Converters? In internal combustion motors, air and fuel mix up, emitting exhaust gases. These gases are extremely toxic and could be harmful pollutants if they got to the atmosphere. Exactly to prevent that, catalytic converters were created. They decrease the level of gases toxicity before they leave the tailpipe. It happens because of the specific chemical reaction, ensuring the process when the converter metals contact with gases. But having served for some period, carbon buildup blocks the catalytic converter, leading to non-efficient filtering of exhaust gases. You can find out about this malfunction by getting “Service Engine” light from the automobile. Basically, there is nothing difficult in cleaning the catalytic converter with the special cleaner. In this article, we’d like to share some tips on how to clean the converters plus present five best catalytic converter cleaners. Maybe, you remember the emission scandal with Volkswagen, which occurred in 2015 in Europe. The case dealt with the brand’s fraud concerning emissions testing for VW plus Audi automobiles. Their fraud caused a real scandal in the European society and led to more severe regulations as to air quality and emissions. This Oxicat product was created in Germany and was initially meant for European drivers, who need to make their vehicles fit the new emissions rules. It’s a really efficient catalytic converter cleaner. The creators of this item aspired to create a product able to clean not only the cat converter but other details of the exhaust system as well, including oxygen sensors. It sounds good as, sometimes, malfunction of this sensor may lead to false information. Consequently, you may spend time and money on repairing of a functional catalytic converter. Besides, one more advantage is that it can be applied for various engine types, including diesel and hybrid ones. Undoubtedly, Oxicat offers the products of the top quality, which really work. Of course, the price isn’t the cheapest one for a small 10-ounce bottle, but almost everyone stays satisfied with this catalytic converter cleaner. No multipack options are possible. This Solder product is another efficient but still rather pricy catalytic converter cleaner. It’s able to clean the vehicle’s fuel and exhaust systems. It’s a great solution for gas motors, able to purify a cat converter no matter what type it’s of. It will cope even with monolithic and the pelleted variations. Additionally, it can be utilized for oxygen sensor cleanup. Serving as a deodorizer, CAT-1 will help you to get rid of the bad odor from the exhaust system, often compared to the smell of a rotten egg. Bear in mind that you must be careful using it as this cleaner can be harmful for people. The manufacturer claims that this product will make the car emissions fit all the regulations and pass through the emission control test. However, the producers of cheaper analogues provide the same guarantees. This product, sold in a metal tin, works exactly as the brand advertises on the package. It’s able to cope with horsepower reduction, improving vehicle’s performance plus reducing noxious gases emissions. The main disadvantage is that this Hi-Gear item is applicable for gas engines only and no cross compatibility is possible. The efficiency of this cat converter cleaner is ensured by a specified formula, created as a joint venture of the brand and a range of auto manufacturers. Actually, it’s not an OEM product. However, its efficiency proves to be on the good level. Multipack options aren’t available for this item. Thus, you need to buy one tin, pour it in the tank and allow it performing its functions. No more actions from you are required. As, this item performs its duties properly and is easy in use, it definitely costs the money spent on it. In its advertising campaign, CRC states that their catalytic converter cleaner will surely help you to pass the emissions test. If not, they promise to give your money back and double the sum spent on their product. And such a claim by a respectable company makes this item extremely attractive for many car owners. 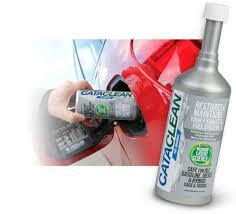 This cat converter cleaner goes in a 12-oz plastic bottle, which is recommended for 16 gallons of fuel. It works great with all types of ethanol and gasoline blended fuels. Featuring a very concentrated formula, this item performs its duties fast and efficiently. The brand advises to use their cleaner after every 3,000 miles run if you aspire to maintain low level of emissions and fuel economy. The price is relatively affordable. Moreover, you can acquire the 12-pack version of the product and save some money. The item will not harm the oxygen sensor. Despite that, it is applicable for gas engines only and the brand says nothing about its adherence to emission laws. Cataclean is often associated with premium products of high quality. To show that their product is able to decrease hydrocarbon emissions by up to 50%, the brand tested it at independent laboratories. 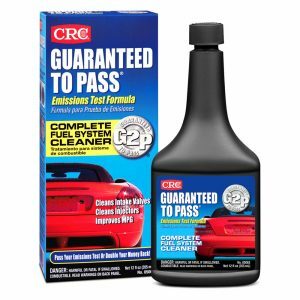 Thus, by applying this cleaner, you have really high chances to pass the emissions test successfully. This cat converter cleaner is compatible with many kinds of motors. So, the owners of diesel and hybrid automobiles can surely acquire it. Moreover, the choice of products for such motors is rather scarce, especially if you seek for really efficient ones. In addition to cleaning carbon buildup blocking the converter, the Cataclean item deals with preventing thick carbon layering in the future. And that’s its main benefit, which seems to be a great long-term investment. The item doesn’t only solve the problem but protects from it as well. Of course, carbon deposits will appear, but the brand assures that their amount will be reduced. This cat converter cleaner comes in a 16-oz bottle. You are free to save money by buying a pack of 2 or 5 bottles. However, note that it’s not suitable for 2-stroke motors. You may wonder what you need catalytic converter cleaners for. 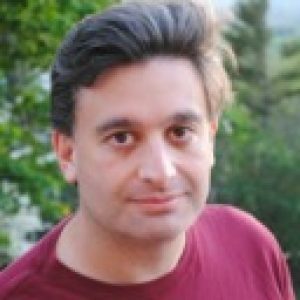 Here are four main reasons to invest in such a product. To get rid of odors. Some vehicles may release a very unpleasant odor, resembling the one of a rotten egg. That smell is a result of contamination of the exhaust system. And it’s accompanied by non-efficient filtering of the un-burnt fuel from the exhaust stream. 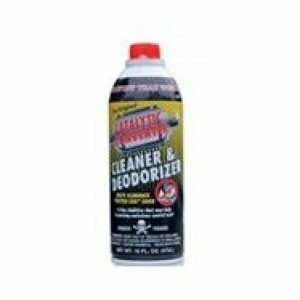 By cleaning the converter, you will fight that awful odor as converter cleaners perform the deodorizing functions as well. To increase performance. A blocked cat converter often leads to reduced engine performance. The power reduction is extremely noticeable while driving on an incline or starting the automobile from a dead stop. This is a consequence of blocked cat converter, which restricts the exhaust gases flow plus makes ventilation less efficient. As a result, the motor output suffers because of backing up with unvented gases. The common mistake is to replace a catalytic converter. However, don’t hurry to do that. In the majority of cases, the problem can be solved by simply cleaning the converter. To save money. We all know that replacing engine details is rather a costly issue, especially when we talk about catalytic converters. In addition to acquiring it, you will also need to pay mechanic for placing it. Actually, there is no need to acquire new details if you have a chance to clean the ones, preventing your car from proper functioning. 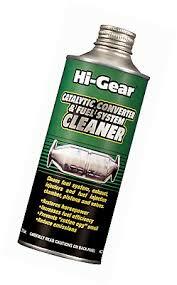 By cleaning the cat converter, you will improve your vehicle’s performance and will achieve the best fuel economy. Moreover, you will save money by regular maintenance rather than buying new details. Thus, by cleaning your cat converter regularly, you will avoid its unnecessary replacement. To achieve low emissions level. As catalytic converters are designed for filtering exhaust gases and improving the air quality, by keeping your cat converter in order, you will take care of the atmosphere and people around. We all know that air is rather polluted, especially in the urban areas. By reducing the level of emissions your automobile produces, you will save the planet as well as take care of your and other people’s health. It’s a fact that today, the quality of air in the United Sates is 70% better than it was fifty years ago. As a result, there are fewer people, ill with asthma and a number of other diseases, provoked by concentrated exhaust gases. Bear in mind that a clean catalytic converter functions more efficiently. Usually, a catalytic converter serves pretty long. It will surely allow you driving for 100,000 miles and more without facing problems with it. A converter may serve as long as car is usable as its malfunctions are rather uncommon. However, if you had to replace the initial one, be sure that several years of trouble-free driving are guaranteed. Moreover, it’s possible to avoid cat converter replacement at all if proper service is provided. By cleaning the converter regularly, you will increase its functionality and increase the lifespan. In case you have decided to clean the catalytic converter and are seeking for the best product, this list will be a great assistant to you. By choosing the proper product, you will achieve the desirable result easy and fast. You will improve the engine performance and, simultaneously, lower the level of emissions it produces. Additionally, some cleaners may help to improve the fuel efficiency.